1 Ableton Live Session to rule them all! 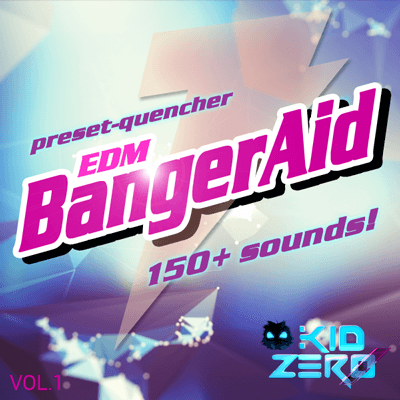 150 NI Massive Sounds To Take Your EDM To The Next Level! We took extra special care of every sound in the pack so that each has its own unique sound. This pack is a seal. Most sound packs come with 50 sounds. This one comes with 150 sound, MIDI, drum samples and Ableton Live 9 session! Without a doubt, EDM Banger-Aid works perfectly with Progressive House, Electro house, Main Room, Big Room, Dubstep, Complextro, Ambient, Down Temp and pretty much anything you could want to create electronically. Every preset has all 8 macros activated so whether you’re a long time Massive user or just starting out, you will be able to quickly and easily change the sounds. You will be surprised how many different tones you can get just out of one sound. You’ve never had more fun tweaking the macros then you will with this pack! !